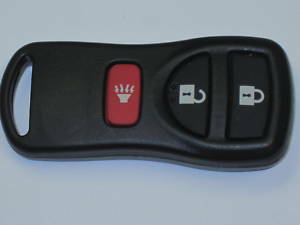 Executive Summary: The 2009 Nissan Sentra base model works with a 3 button remote entry device. When I got my 2009 Nissan Sentra (used) I took it to the local Nissan Dealer, to get it serviced and look at a few things. Specially that the drivers door lock didn’t lock/unlock all the doors like the manual says it should and could a remote be added. I was told, “No the base model cannot have a remote added (the ECM didn’t support it)” and “The door locking feature is not on the base model also, I even took the door panel off, and could see the lock cylinder, and there were no wires coming off it” thus proving it’s not an option. Last weekend, I read on this forum that the 2007 and 2008 base model Sentra’s could have remote entry, but the 2009 had not had success reported yet. With doubt in my mind I took the door panel off myself, and you cannot see the lock cylinder, as it’s covered by metal. Thus the lock looks like it’s removed from the outside? With all this doubt over the dealers words in my mind, I purchased a used remote off eBay ($9 + $6 postage), which arrived today. IT WORKS, following the Nissan remote programming instructions with a base model 2009 Nissan Sentra works. I’m so happy, but also so sad that the local Nissan dealer’s lead technician lied straight to my face. Why would he do that? I liked having them service my car, I though servicing was where the money was made. I was given a 5 button fob from a friend, and programmed it for my car. 5 button remote, lock, unlock and panic work. Trunk/side door do not. Why the panic button does not work and also would the trunk button work if you had one. Also, if you get a 4 button key fob would the trunk button work? I just tested with a 5 button fob, and the trunk button did not work for me.